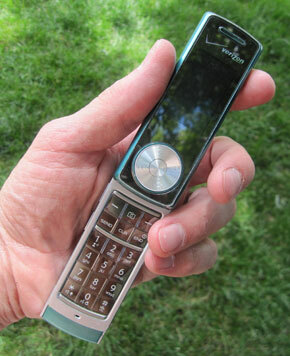 This mobile phone is maybe just five years old. I think it’s pretty cool. But it’s no longer useful – just more ephemera. Thankfully, it will be getting a second life. The organization I work for has a program to recycle them and use the resulting profits for good. The mechanics, sales people, managers, and parts experts all get one day to spend with their family. Or their dog. Or their television. A few years back, Colorado changed their liquor laws such that stores are now open on Sundays. Shortly after that, I asked a checkout clerk if the change had made any increase in their sales. 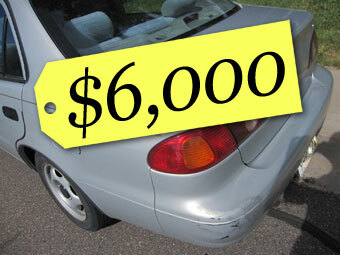 He said no – but that the business just got redistributed over seven days instead of six. Sad. Now the store owners have to pay more salaries and electricity bills. For no gain except to keep up with the store down the street. I’d love to turn back the tide. But I don’t see that happening anytime soon. At least the car dealerships’ lobby has some sanity left. This tower of public notices stands in downtown Boulder, Colorado – the home of a university with more than 30,000 students. 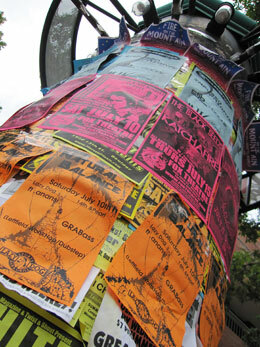 Most of the posters are for live music events. Did you notice that all of them look more or less the same? How hard would it be to design a poster with catchy full-color photo surrounded by a significantly large white border ? 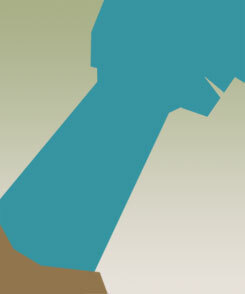 Or maybe a 98% black poster with just a tiny bit of white type in the center? Then just put one on top of about every fifth standard poster. Those would stand out. Takeaway: Let’s think outside the box, my friends. Why can’t they make them in brown? My sons are like just about any other American male teenagers – they love to shoot things. (Suffice it to say that I am no longer an American teenage boy.) Anyhow, Airsoft rifles are their weapon of choice. And it’s just slightly annoying to me that the bullets mostly come in dayglow green. Vibrant dayglow green. I read last week that Disney’s Haunted Mansion ride is going to be made into a feature-length film. Some of you might remember that Pirates of the Caribbean was originally just a ride at Disney. 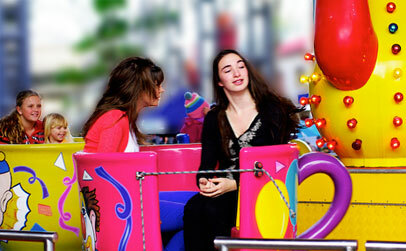 So I had to ask – is the famous Teacup Ride going to be Disney’s feature-length film after that? Photo by Vanessa Pike-Russell, used under a Creative Commons License. And an update: my brother reminded me that there already was a Haunted Mansion movie, starring Eddie Murphy. It was so worthless that I forgot it. And maybe the fact that I never saw it pushed it even deeper into my memory banks. 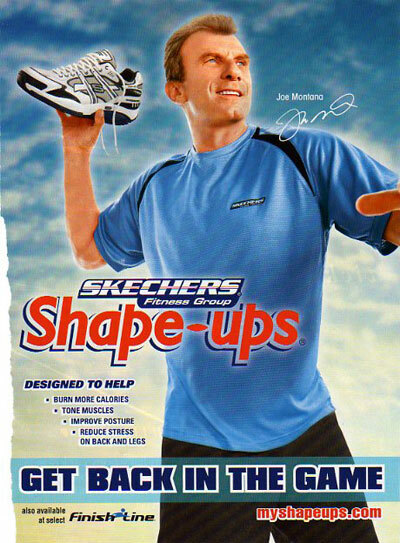 Joe Montana loves his new Skechers shoes so much that he wants to throw them far away. Note two: these shoes are supposed to help the wearer burn more calories. Isn’t that what all sporting shoes will do – if you use them while exercising? I think they will help you burn even more calories if you continually throw them down a football field, retrieve them and repeat the process. 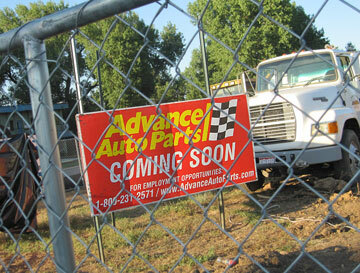 Advance Auto is building a new car parts store not far from our house. Nothing wrong with that – except that there are already two auto parts stores within a mile of that location. One is even just across the street! I’ve been to both stores, and I’ve never had to wait more than two minutes to check out. It amazes me that their corporate headquarters did not do their research before being willing to spend more than a million dollars to see this project through. The sign touts new jobs becoming available. But that’s just short-term. One of the stores will inevitably close within a few years. Those employees will lose their jobs – and maybe years of gradual small pay raises, only to have to start over. 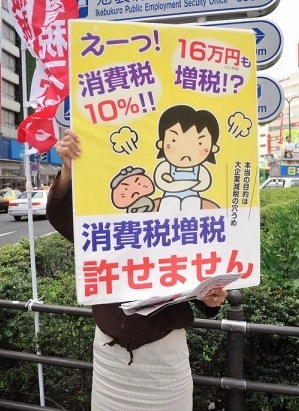 I wanted to remind you to visit Tokyobling’s Blog. There are some great photos there – and a reminder that life in Japan is very different than in the US, Africa or Europe. In the years I’ve related with people, I’ve noticed that American business and politics reward those who stick their necks out. There is a fine line between being self-confident and being full of yourself. It’s a spectrum. You can guess which side I fall onto – I often go out of my way in trying to not appear egotistical. I also realize this is a at least partly a function of personality type. Some people need affirmation from others like a fish needs water. Others are happy to work in relative obscurity. Neither way is right or wrong. However, either way can be wrong if they are left unchecked. Those characteristics are not directly related to being self-assured or bossy. Self-assured is almost always good. Bossy is almost always bad. But bossy people can get lots of things done!